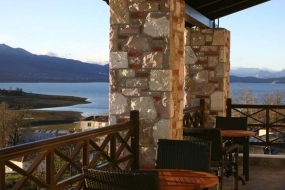 HOTEL TITAGION is located in the village Lampero, in the eastern Lake Plastira in Karditsa, Thessaly. 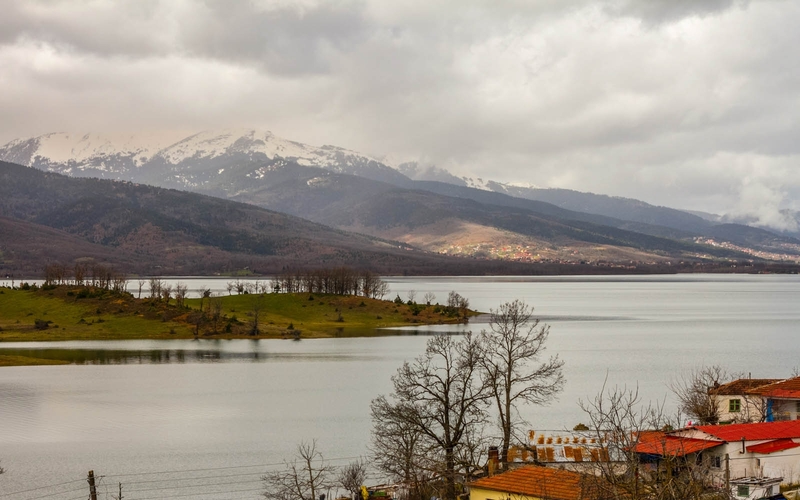 Panoramic view to lake while fascinate you. 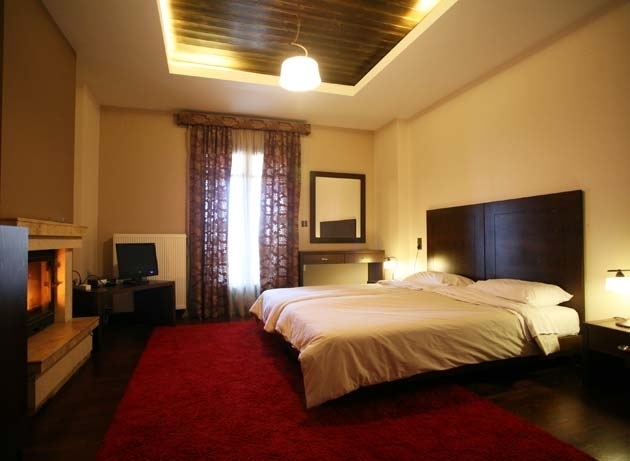 It is a brand-new hotel with the best facilities for an unforgetable stay. 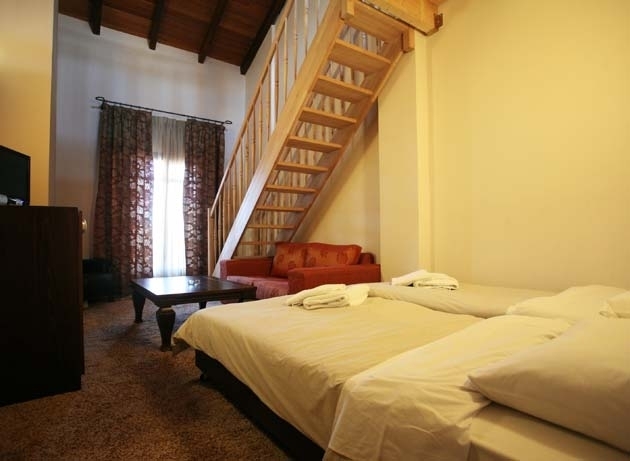 Titagion hotel double rooms have a double bed or 2 single beds and there is potential for hosting one more person in a normal single bed. 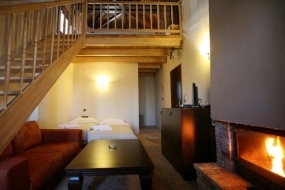 The rooms also have fireplace (free use of wood with caution during hours od use), flat TV, view of Plastiras lake, balcony with service possibility of breakfast (upon request free of charge), bathrooms with luxurious style and amenities and many other facilities. 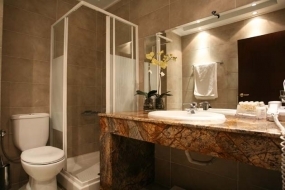 Included local rich breakfast buffet with traditional recipes and products. 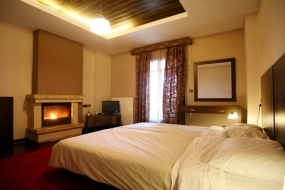 Titagion hotel Triple rooms have a double bed or 2 single beds, one single bed and there is potential for hosting one more person in a normal single bed. Titagion hotel Suites have a double bed, 1 single bed and a sofa that may be transformed into a double bed. 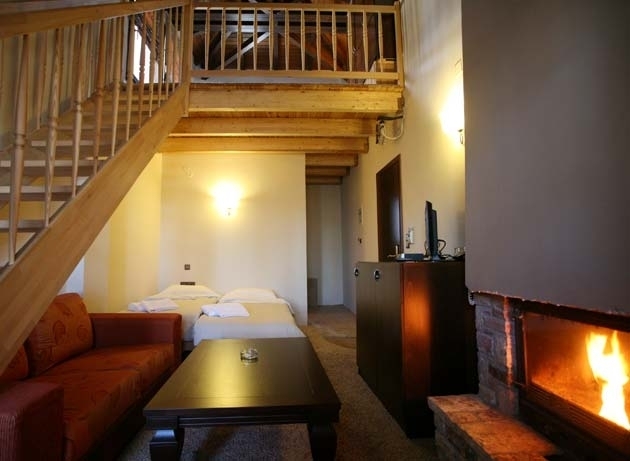 The rooms also have fireplace (free use of wood with caution during hours od use), hydromassage, flat TV, view of Plastiras lake, balcony with service possibility of breakfast (upon request free of charge), bathrooms with luxurious style and amenities and many other facilities.